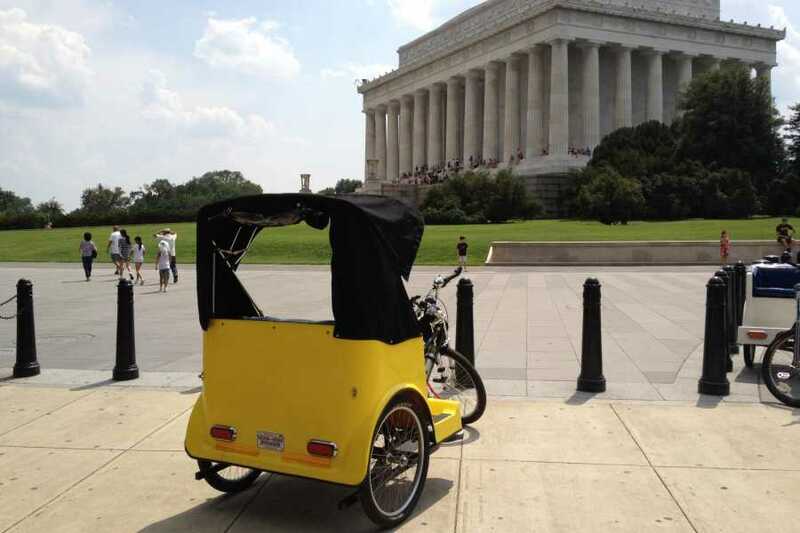 Take in a private guided tour of "America's Front Yard," our National Mall, at your own pace from the relaxing comfort of our canopied pedicabs. 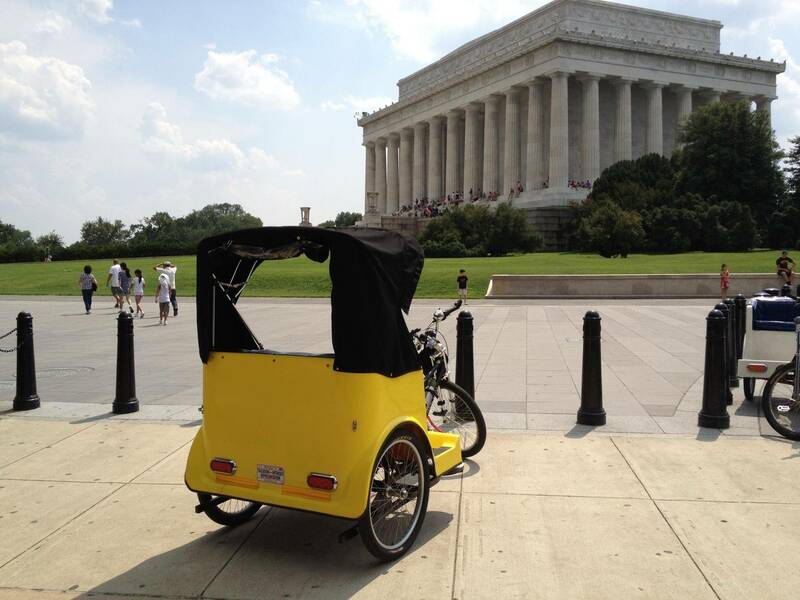 -Begin and end this tour anywhere around Downtown, DC or the National Mall itself. -Enjoy our interpretive tour at your pace, during the day or evening. -Enjoy closer access to the memorials than that of a bus or car. -Let us help extend the range of your walking and mobility. -Persons with disabilities welcome; more information in the "About Us" section of this website. -Make as many or as few stops as you wish. -Enter the memorials to explore or take photos. -Most guests spend 1.5 to 3 hours enjoying this tour. Please see the "About Us" section here on our website for details on our tour fees, pedicab capacity, and how we can help make the memorials more accessible to you. -The date and time you'd like to be picked up. Or, text us or call us at (202)345-8065 anytime. One of our guides will contact you to confirm your reservation at our earliest convenience. Advance reservations are recommended, but feel free to call us the day you'd like to tour to check our availability. Most of our guests take 1.5 to 3 hours to complete this tour. The length of your tour depends on the number of optional stops you wish to make and the amount of time you choose to take at each stop. We can leave the tour length open to make sure you see everything at your own pace. Please call us at 202-345-8065 to make a reservation or if you have any questions. - After the first hour, your tour is subsequently pro-rated in 1/4 hour increments. - Free pickup from any downtown location. - With two or three adults, one (1) small child rides free. - Tour fees above do not include any optional gratuities for the tour guide.